Happy Memorial Day to all! I hope many of you were able to get outside and enjoy some wonderful weather- maybe even a cook- out. Most of all- I hope you did something enjoyable to celebrate the unofficial beginning of summer! I spent the weekend as I have every Memorial Day weekend for the past 10 years – with my daughter at a large Dance Competition in Lancaster PA. The weekend always gives me some much needed knitting time. Since small easy projects are the best for me to work on in the subdued lighting of the resort’s large auditorium, I took yarn for a top down baby sweater, and matching bibs. I got the baby sweater done to the point where I needed to sew up the sleeve seams (can’t do that in the dark) so I started a bib. What I love about these small projects is that they are very portable, very easy, and very fast to knit. 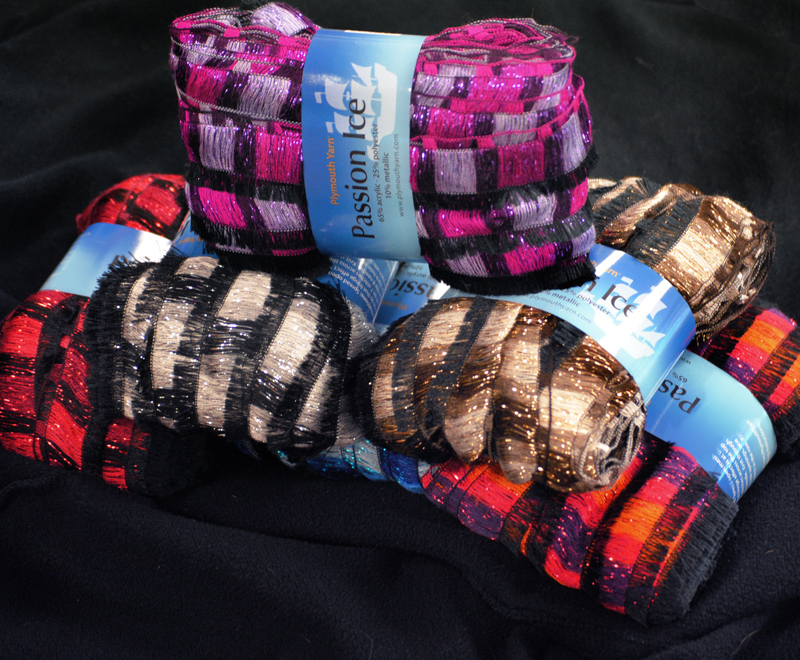 Since the weather is getting warmer, I choose Fantasy Naturale for my weekend knitting project. 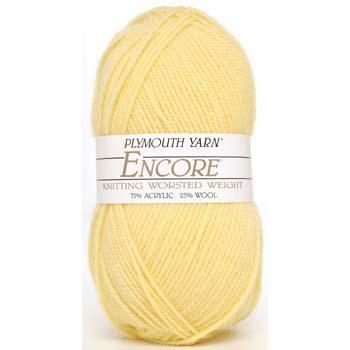 This cotton is a wonderful hand knitting yarn- available in many colors, quite affordable, and easy to care for. Fantasy Naturale is a mercerized cotton with a cabled twist. 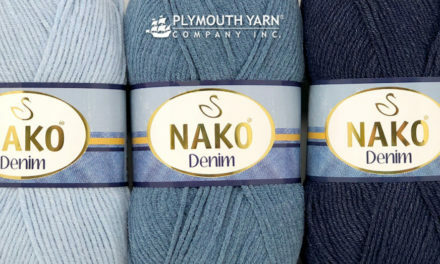 It knits up best for adult garments at 4.5 sts to the inch, but also works very well at 4 sts to the inch, which is where I like it best. The more open gauge lightens the fabric for a baby garment. The baby sweater pattern I used is the top down cardigan available on our Plymouth website under free patterns. I added a bib using the pattern included here. I started a small one to go with the smallest size sweater, and might make a coordinating one in the larger size too. Hope you enjoy this pattern- small projects make for great summer knitting. Finished Size (Approx): 5 x 7 (8 x 10)”. Materials: 1- 100g hank of Fantasy Naturale. Shown in color 6399 (9951); 3 small buttons. Gauge: 18 sts = 4” on a US 7 needle over st st. Needles: US 7, or size necessary to obtain given gauge. Cast on 25 (35) sts. Row 2: K5, P15 (25), K5. Repeat rows 1 & 2 – 13 (20) more times. (RS): K8, and place these 8 sts on a stitch holder. Bind off to last 8 sts, K8. Working on the 8 sts on the needle: Work button strap. WS: K5, k2tog, k1. Turn, knit back. WS: K4, k2tog, k1. Turn, knit back. WS: K3, k2tog, k1. Turn, knit back: 5 sts remain. Knit for 42 (46) more rows. Bind off. Reattach yarn to 8 sts from the stitch holder. Shape as for button strap, working the shaping rows as RS rows. Work 8 rows of garter st.
Make buttonhole as follows: K1, K2tog, YO, K2. Continue in garter st, working 2 more buttonhole rows every 14th (16th) row- always on a right side row. Once 42 (46) rows of garter st are complete, and strap is same length as buttonstrap, bind off. Weave in all ends. Attach 3 buttons along strap as same intervals as buttonholes. Bib can be buttoned at different lengths. 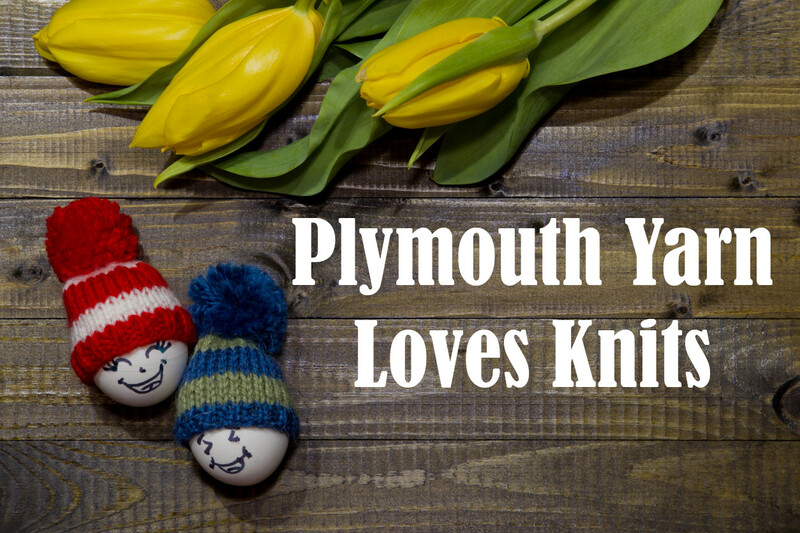 Summer knitting can be a great way to relax & keep those needles moving! Next to Encore (every version, I might add), Fantasy Naturale is another favorite of mine. 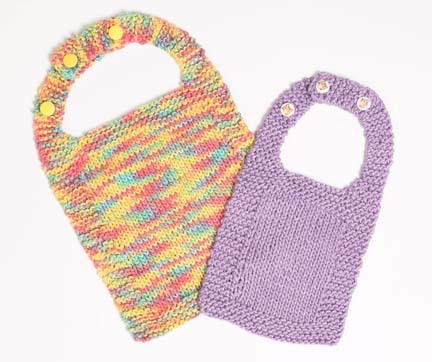 Ive used it to make those Let’s Party Purses, baby sweaters, ponchos & one of my current “summer” projects is a simple seed stitch scarf in a multi colored yarn using size 15 needles. It can’t get any more relaxing & easier than that. For those who are thinking about knitting that top down baby sweater..go for it! I knit all 3 sizes in off white Fantasy & added one pearl button at the top. Thanks for the bib pattern, JoAnne.